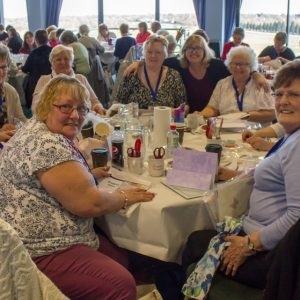 Home In The SpotlightCrafting Live - Sandown January 2019 - The Award Winning Crafting Live Show Is Back ! 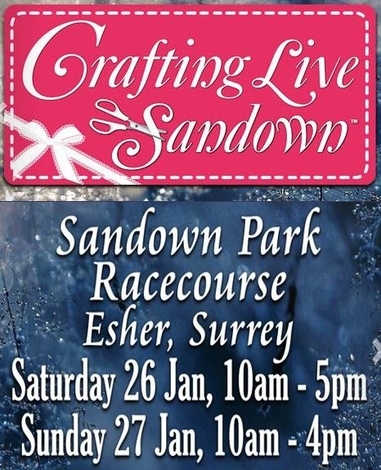 Crafting Live - Sandown January 2019 - The Award Winning Crafting Live Show Is Back ! We start the event on Friday 25th January with the all-important workshop hosted by Stephanie Weightman and Nancy Watt. This day-long event includes everything you need to create a number of craft projects and is ideal for all skill levels. So if you are an experienced crafter or you’ve only just started, there are projects that you can either follow step by step or add your own personal touch to. Pre-booking is essential, but you are guaranteed to have a great day, learn lots of new techniques and make new friends. The Workshop ticket also gets you into the show on any or all of the days and covers all equipment and refreshments during the workshop, as well as a selection of craft goodies to take home! The show itself is open on Saturday 26th and Sunday 27th January, and is open 10am-5pm on Saturday and 10am-4pm on Sunday. Saturday and Sunday will host an array of exhibitors stocking stamps, dies, decoupage, fabric, ribbon, beads and much more. The make and take booking point is open from 10am each day and booking is essential. You won’t want to miss out on what we know will be a fantastic craft event. We will all be there waiting to greet you at the southern winter craft event of the year. To try to limit our environmental impact and help make our shows greener, Crafting Live will no longer provide show guide books at each event. However, we will have exhibitor maps and event schedules available on the day. Thank you for your support in this endeavour! Sandown Park Racecourse is a great venue with a variety of facilities including ample FREE parking, disabled car parking, disabled toilets, various food outlets, baby changing, ramp access and cash machines. You can find out more about the venue at sandown.thejockeyclub.co.uk. All buildings have purpose-built or enhanced entrances for disabled access. Internal spaces, including public conveniences and public seating areas, have been designed and laid out to accommodate disabled access at all times. Designated disabled parking bays are situated at the front of the racecourse in the Portsmouth Road car park to provide as easy access as possible for visitors. Please be aware we do not offer mobility hire, but you are more than welcome to arrange a scooter to meet you at the show entrance. Sandown Park Racecourse is located inside the M25 and easily accessible from the A3, so you shouldn’t have a problem finding it, below is the address and directions. Sandown Park Racecourse features ample FREE parking at the front and in the centre of the racecourse, so you should have no problem finding a car parking space at the venue. There is allocated disabled parking at the front of the racecourse in the Portsmouth Road car park. The courtesy bus running between the train station and venue will also pick up and drop off at the overflow car park. We will be running a FREE courtesy bus from Esher train station. The courtesy bus will be running from 9.30am throughout both show days until after the show has finished. There are no set times but you should not have to wait for more than 30 minutes at either the racecourse or train station. Trains run from Esher station between London Waterloo and Woking/Guildford – visit National Rail Enquiries to plan your journey.